Most of you already know who I am, however, some of you may not. With that said, let me introduce myself: my name is Eric Lyon. 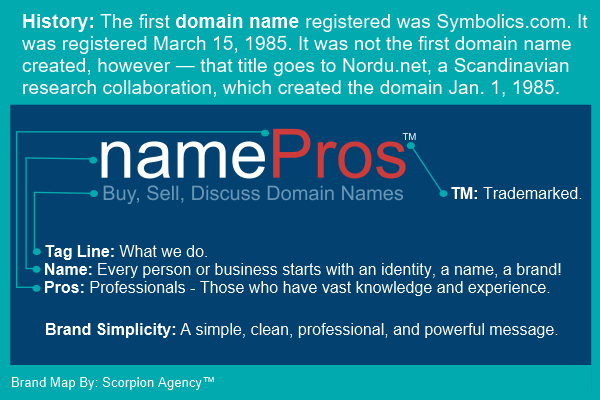 Not only am I the founder and co-owner of Scorpion Agency™ (Since 2005), I am also the community administrator for NamePros™. I started using NamePros in 2009 and joined the upper ranks as a moderator/administrator capacity in 2010. I’ve attended numerous industry-related events and personally worked with registrars, hosting companies, registries, news outlets, and a variety of domain investors. That equates to a lot of years behind the scenes with my fingers firmly on the pulse of the domain industry, implementing community management strategies, combating spam and unethical practices, and working shoulder-to-shoulder with members and moderators as a customer support specialist. 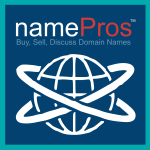 Over the years, NamePros has established a massive network spanning every corner of the globe. To start, bloggers, vloggers, social media platforms, news outlets, registrars, registries, friends, associates, and families link to and share our content and the NamePros brand in their local communities. If that wasn’t enough, let’s also add in our gargantuan user-base of over one-million registered members sharing information with each other and doing deals with other investors across copious nations and in many languages. These reasons, and so many more, give NamePros the brand equity and vast reach into households world-over. That’s awesome brand recognition! The NamePros brand identity is honest, simple, clean, professional, and straight to the point. To be quite frank, our brand is so recognizable that it doesn’t need to use any questionable marketing strategies. There really isn’t any competition out there that can compete on this same level. It’s no big secret that our members are a key driving force behind NamePros. They propel the brand into new horizons. The contributions of each member are valuable assets to the community as a whole. Most, if not all, members freely share their experience, knowledge, and test results from various niches in the industry, which makes the community an asset to readers of all skill-levels who are looking to learn. Members come from all walks of life, and across many nations, injecting culture and creative ideas into the community. A mixture of new investors, veteran investors, entrepreneurs, CEO’s, CMO’s, mom-and-pop small business operations, freelancers, and more! 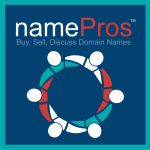 At the end of the day, NamePros provides every member with powerful solutions to their everyday investing, development, and monetization problems. It’s a no-brainer to want a free membership and to be part of the leading community in the domain industry with a household name people know and trust. Like with any successful brand, there is a cohesive, collaborative, and active team that works tirelessly behind the scenes to ensure everything’s running smoothly. Personally, I put in anywhere from 8 to 16 hours per day, 7 days a week with no days off. That’s dedication! The NamePros team even takes the time to engage members with helpful advice and settle disputes when they’re brought to our attention. Our goal with helping members is to provide a third-party perspective, within the confines of our official rules, on how they can resolve a dispute among themselves so that further actions aren’t needed. We want to enable our community of entrepreneurs to solve their own problems if they want, and we just lend a helping hand when it’s necessary to intervene. Aside from innocent squabbles amongst professionals, we take malicious threats to our member’s security seriously. NamePros actively combats unethical business practices and places members safety as its top priority. This passion for member safety has raised the industry bar and made NamePros one of the safest places to collaborate and conduct business. When it comes to learning, collaborating, and conducting business in the domain industry, it’s best to start your adventure where everyone is working towards common goals. Targeted social interaction are the most effective if you engage colleagues and like-minded individuals with the same inner-drive and passion for success in your respective industry. 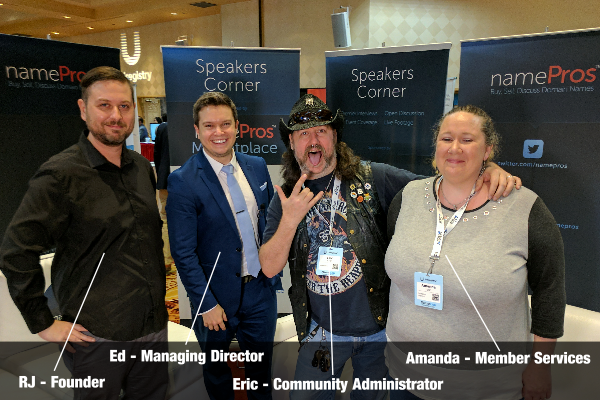 Why would anyone want to miss the opportunity to personally collaborate with professionals in the domain industry – all for free? 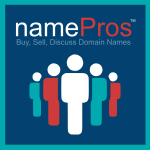 Now go login to NamePros and see what important news and updates you’ve missed!